Anna Lockwood welcomed to Australia Section Board, Stefan Sedlmeier retires. 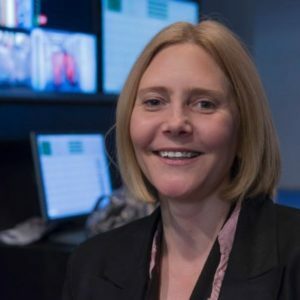 Anna Lockwood, Head of Market Development for Telstra Broadcast Services, has been appointed to the Australia Section Board of SMPTE effective immediately. She joins the Board as a Manager, for a term ending in June 2018. Anna started her career as a journalist and documentary film producer, and then moved into media technology specialising in digital media, and broadcast training and consulting. Anna had a ten year global career with Avid Technology before moving to Sydney in 2013 to join Telstra. Along with her professional work, Anna has interests in start-ups, innovation, women in technology, and media training and education. She will be leading an initiative focusing on women technology leaders at the SMPTE17 Technical Conference and Exhibition in Sydney’s Darling Harbour. “We also recognise the work of Stefan Sedlmeier, who has stepped down from the Board for family reasons after a long-time association with the Section and our activities. I would like to take this opportunity to thank Stefan for his contribution and wish him all the best with his future endeavours”.